Roadrunner United. Slipknot drummer Joey Jordison, Trivium frontman and guitarist Matt Heafy, Fear Factory guitarist Dino Cazares, and Machine Head frontman and guitarist Robb Flynn. 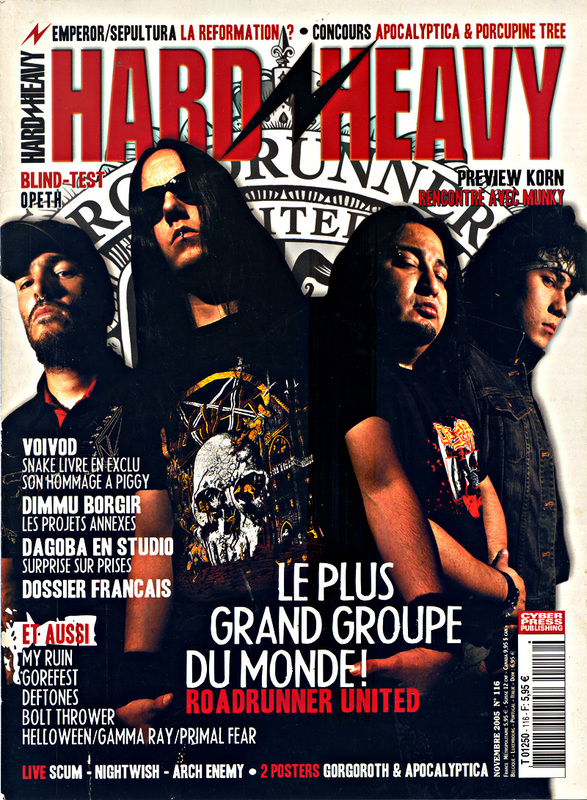 En couverture du magazine Hard’n’Heavy.